But what if you’re new to vehicle graphics and advertising? Here’s your guide to getting started. Not new to the graphics game? These tips can still come in handy. “Fleet graphics cost $.48 per 1,000 impressions and the other advertising medium options went from $3.56 to $23.70 per 1,000 impressions,” he said. Duever said some kits could cost as low as $5 per square foot, while others using more expensive materials could run as high as $50 or more per square foot. Tim Fontana, director of fleet sales, Visual Marking Systems, estimates spot graphics (which might include a logo, company name, web address, and phone number) and installation for a 14-foot box truck might range from $300-$500 per vehicle. 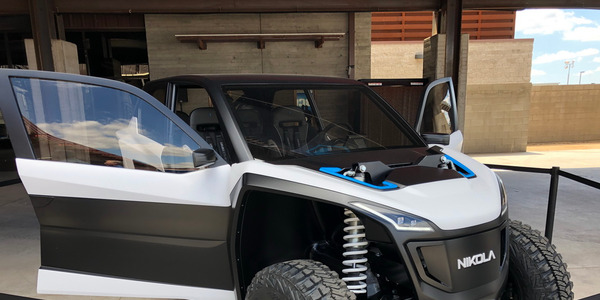 Pricing will ultimately vary based on the materials used, the amount of space covered, geographic location, single color vs. full color, and the total number of vehicles to be wrapped. So what does the investment buy you? Dan Rozzo, marketing innovation manager fleet & OEM markets, Avery Dennison, said ROI can be difficult to measure. However, he cites surveys conducted by the ATA and Robinson Yesawich & Pepperdine Inc., that state 97% of individuals surveyed noticed the advertising on fleet vehicles and 98% felt the ad portrayed a positive image of the advertiser. On top of that, 29% of those surveyed said they would base a buying decision on those impressions. Alexis Amanda, vice president of marketing, JMR Graphics, said on average, a $20,000 vehicle wrap investment buys 8.4 million yearly impressions. But while one can estimate the number of people who see vehicle graphics on any given day or year, pinpointing ROI — i.e., tying a sale to a specific impression, can be difficult. On the upside, changes in media consumption have given outdoor advertising an advantage. As people use ad blockers online, turn to Netflix or Amazon instead of network TV, and listen to their own playlists instead of radio, consumption of traditional advertising is down. But on the road, people can’t ignore a wrapped vehicle. 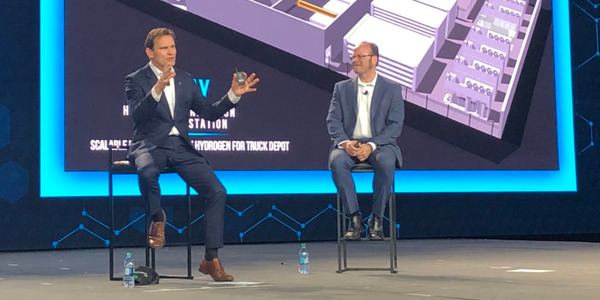 Duever said there are strategies fleets can employ to track leads and help determine ROI, including setting up a specific phone number or website that is only seen on the vehicles. 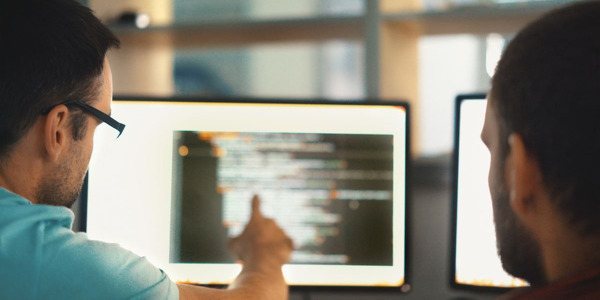 “That way, if you are getting hits on the website or calls on that number you know there is only one way that your potential clients are seeing this phone number or website,” he said. An even easier way is to simply ask new clients how they heard about your company, then track those leads. When it comes to how well you make an impression with vehicle graphics, two very important elements come into play: messaging and design. For messaging, the first rule of thumb is to keep it simple. Duever said, in general, vehicle advertising has about seven to 10 seconds to make an impression. “A very clear message with a logo, website, and phone number and maybe a few selling points is all I recommend to my clients for the sides of the vehicles,” he said. Know the one thing you want someone to remember. Typically, your company name is the single most important takeaway. ➔ Reading is work for the viewer. “A long list of services may feel very important to you as the business owner, but consider where it fits into the priorities of a viewer,” Scott explained. Replace heavy copy with an inviting design and viewers will be more willing to read your message. ➔ Consider your own experience. Think back to the vehicles you’ve noticed on the road. What stood out? What do you remember? Keep these experiences in mind as you craft your messaging and design. ➔ Include a call to action. It’s important to include a telephone number or website so the audience has a way to contact you. ➔ Consider context. Will the vehicle be parked in a lot or on a job site? Or will it be driven in the city or on the highway? The amount of information to include is determined by how much time your audience will have to view it. If you’re having trouble choosing one, clear message, Amanda suggests highlighting what makes your business stand out. 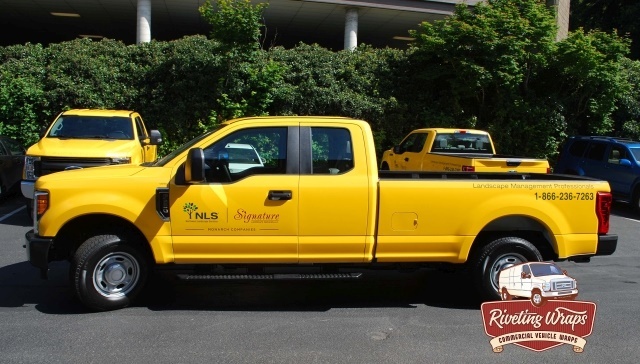 For trucks in particular, identifying a targeted message is even more important, since there may not be much real estate on the cab to advertise. The other graphics used can also make or break the readability of your message, as can the location of your messaging. And as with any large-format design such as those utilized on van sides or trailers, using vector art and high-quality images is integral for optimal appearance. Three types of vinyl are traditionally used for vehicle graphics: calendared, cast, and reflective. Graphics installer Justin Pate once compared calendered vinyl to pizza dough: it starts out as a ball and is rolled to a flat shape. As calendered vinyl is exposed to the elements, it will shrink a bit, leaving a small amount of adhesive behind similar to a pizza crust. 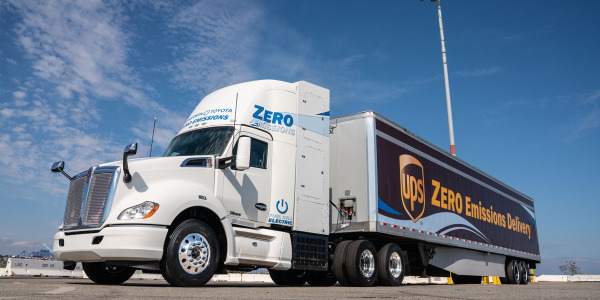 “If you have graphics on your fleet and there is a small outline of glue around the graphics, chances are they are made of calendared materials,” Duever said. Calendered films are “thicker” and can be easier to install because of the stiffer nature of the material. “This type of vinyl works well over flat and simple curved areas but should not be used over complex curves,” Rozzo noted. Calendared vinyl is typically more affordable, but doesn’t last as long as other options (one to five years). Cast vinyl is more like pancake batter. The vinyl starts out as liquid and is poured into a thin, flat shape. Cast material is thinner than calendared and doesn’t tend to shrink. “Cast vinyls are high-performance films typically used for vehicle graphics that will be in place long term and offer conformability over rivets and complex curves to give a ‘paint-like’ appearance,” Rozzo said. Cast films cost more, but they also last longer (up to 10 years). “If you are looking for longevity and the highest quality vinyls on the market, there is no substitute for a cast film,” Duever said. Ultimately, the choice of material will depend on how the vehicle is used, the environment it operates in, and the conditions it is exposed to. No matter what, Amanda said it’s important not to skimp on materials. “The quality of the wrap can impact the audience’s perception of a business’ attention to detail,” she said. 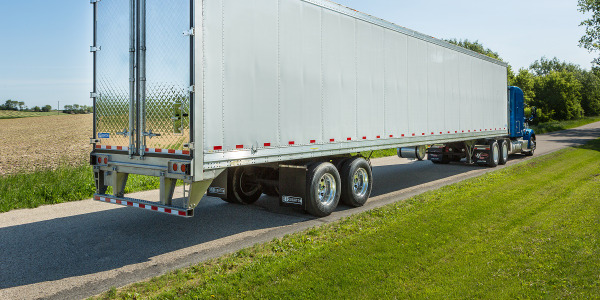 Installation is a key component, as it can determine the quality and longevity of the final product as well as how long your trucks are out of service. ➔ Indoors, clean, and dust-free, since dirt particles cause bumps under the graphics. ➔ Temperature controlled, to ensure the correct amount of pliability of the wrap. 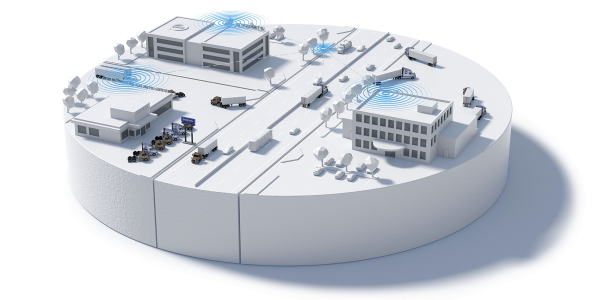 ➔ Cognizant of weather and vehicle temperature. If the outdoor temperature is too hot, vehicles need to be cooled down before installation. The same goes for cold vehicles that must be warmed up. When conditions are too hot or too cold, graphics won’t adhere correctly, which in turn could add significant time to the installation. ­The time it takes to install graphics depends on the size of the vehicle and graphics, but generally falls between one and three days. Amanda suggests wrapping fleet vehicles in waves to avoid having too many out of commission at one time. 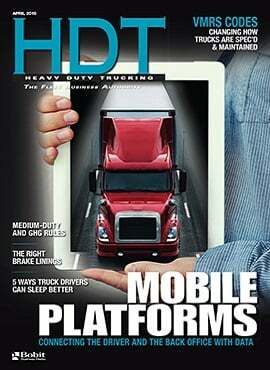 Although fleets must be conscious of downtime, installation shouldn’t be rushed. 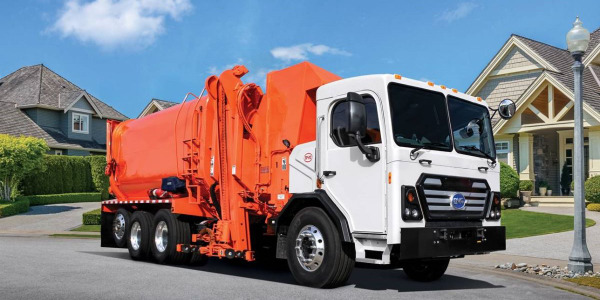 “Sometimes your fleet is the first impression people have of your brand, so make sure you give the installer enough time to do a perfect job so your vehicle branding represents your company,” Duever said. 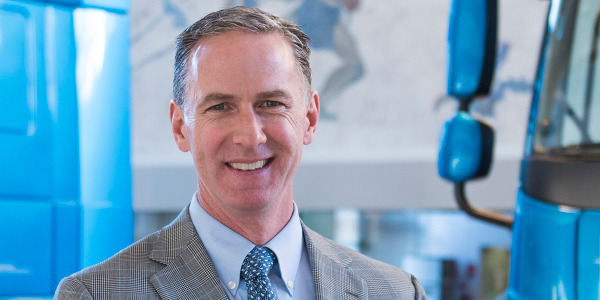 While installation may seem inconvenient, Scott said it is a short wait compared to the long-term benefits of vehicle advertising. Once your graphics are installed, taking proper care of them can extend their longevity. “Like a custom paint job, vinyl wraps need to be properly cared for; if they are not, it could lead to premature failure or stains on the vinyl surface,” Duever said. ➔ Washing the vehicle once a week, and avoiding strong chemicals and waxes at all costs. Many manufacturers sell wrap care kits, which can extend the life of the wrap. ➔ Cleaning off-road debris like salt and ice quickly to avoid scratches and scuffs. 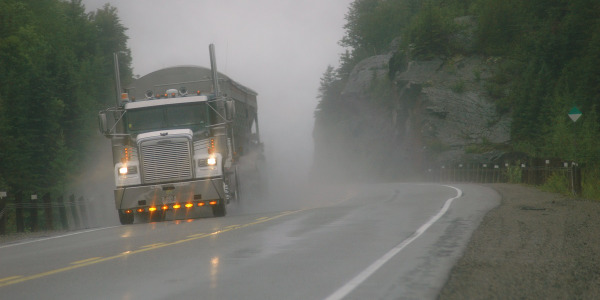 ➔ Parking trucks indoors when possible to protect them from the elements and damaging UV rays. 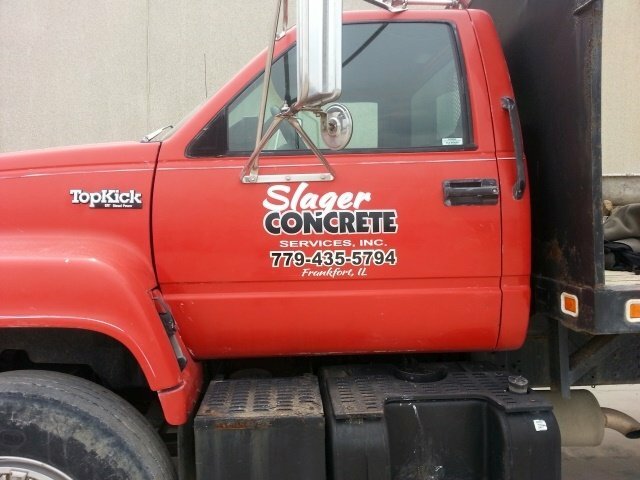 Because vehicle graphics represent the face of your company, consider replacing them when color fade, peeling, bubbling, scratches, and scuffs compromise their appearance. Driving with damaged advertising can negatively impact a company’s brand. ➔ Paint replacement films. 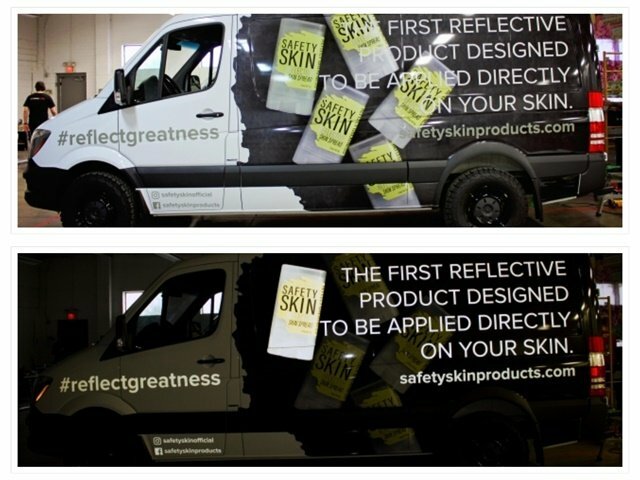 “Paint replacement films are the newest craze to hit the commercial fleet market,” said John Duever, president, Vinyl Images and Design. “When these films are paired with digital prints or logos they make a massive visual impact with a very custom feel.” Paint replacement films come in a wide range of colors, from traditional hues to wild metallic colors to color-changing and more. They are available in matte, satin or gloss finishes. ➔ Ceramic coating. Ceramic coating can be added to graphics packages to help keep vinyl clean. Simply put, ceramic coating makes the vinyl surface smoother so dirt and water have nothing to latch onto. ➔ Wrapping non-traditional areas. Some fleets have wrapped the booms of cranes or boom trucks and outriggers on large tow trucks. ➔ Colored cast vinyls with overlaminate protection. 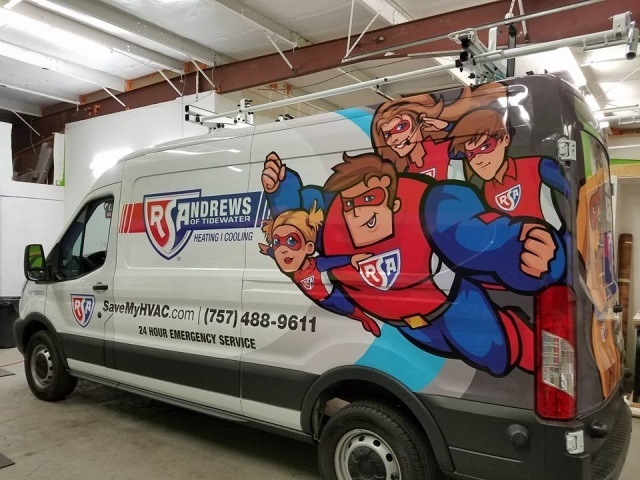 “These are becoming popular as they offer more depth of image of the graphic (DOI), greater ease of installation, custom corporate colors for partial to full vehicle wraps, as well as many different trendy effects/finishes, i.e. 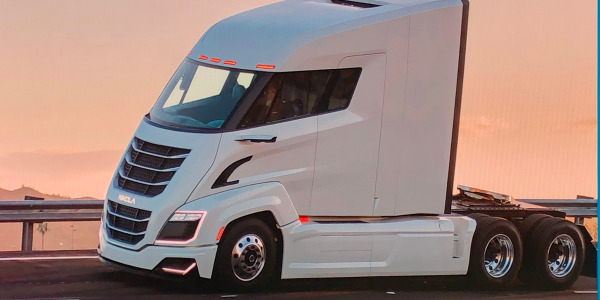 matte, matte metallic, brushed, carbon fiber, satin, pearl, etc.,” said Dan Rozzo, marketing innovation manager fleet & OEM markets, Avery Dennison. ➔ Changeable graphics. An opaque color film is applied as a permanent base, and a short-term “changeable” vinyl and adhesive system is created. The short-term graphic is overlayed on top of the permanent film and can be changed out to highlight a seasonal product or promotion.